In a blender, pulse the 8 ice cubes until a fine powder. Scrape down the ice on the sides of the blender. 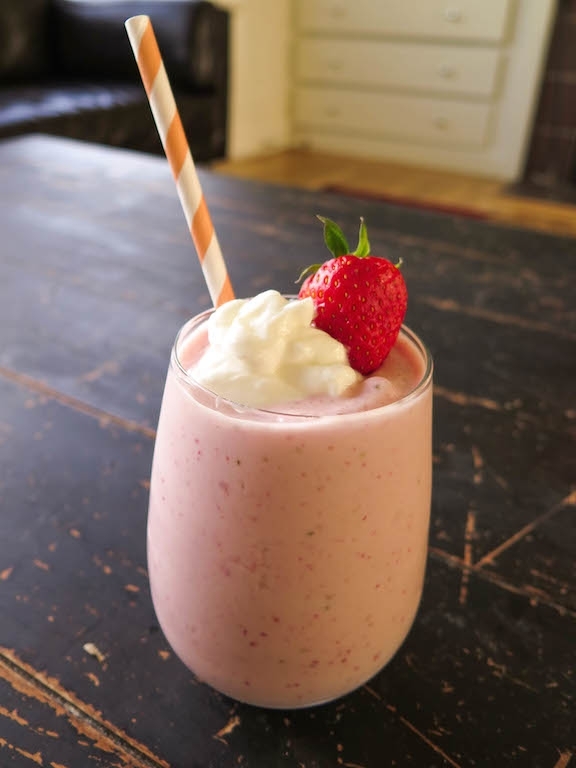 Next add in 1 scoop Vanilla Protein Powder, 4-5 strawberries, 6 drops of Vanilla Stevia, and Â½ cup Nonfat Greek Yogurt. Blend until fully incorporated. Pour into cup and top with more non fat yogurt and a strawberry. Enjoy!